The matilija poppy growing along side of my driveway is once again threatening to take over the world (or at least my driveway). It is now about eight feet tall and at least eight feet in diameter. 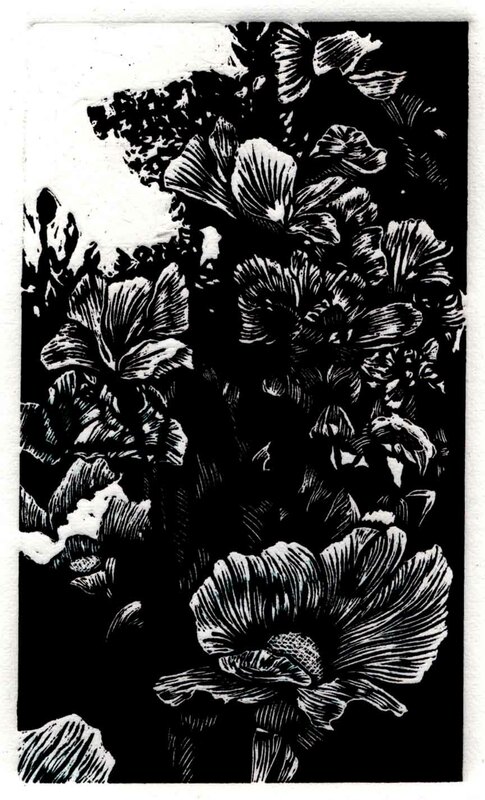 This print was based on a photo of the plant when it was in full bloom. It is printed on Johannot white paper, a paper I haven’t used before but will certainly use again.